Serving Camping families since 1967 - Our proudest achivement! Family camping park, located in the rolling hills of Caledon, is a perfect hide-a-way to relax and enjoy the country life. The heated 60′ salt water pool is a constant 4′-0″ depth for your added safety. Lifeguards are on duty during prime times. A water volleyball net provides hours of added fun for everyone. Hayrides, sing a-longs and marshmallows on sticks at your campfire are all part of the best summer when you’re camping with us. Play horseshoes, darts or tennis, or join in the many other park events. Our friendly staff and social committee will welcome you and help make your stay with us a true holiday. We are family-run and oriented and are proud to say that we have been serving campers (the best people we know) since 1967. 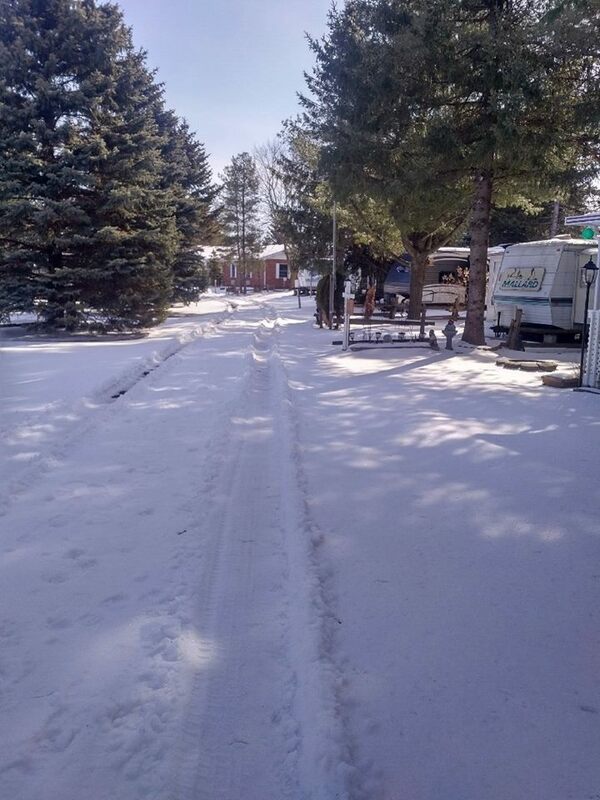 We have had many requests for winter camping over the years but we never thought it would still be a winter wonderland April. 21st. It looks pretty but that is not snow, it is ice pellets & ice. It is rock hard & slippery, not nice and not safe.